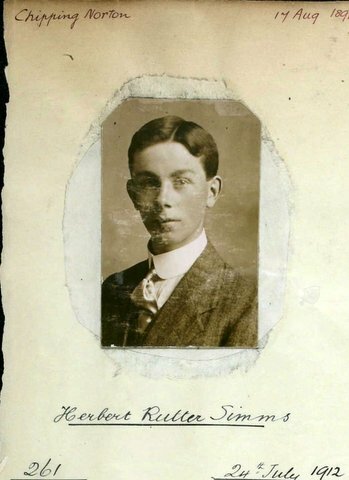 Herbert Rutter Simms was born in Chipping Norton in August 1891 and was the eldest son of Daniel Rutter and Ellen Simms of 13 High Street Chipping Norton. He is father was a watchmaker and jeweller and also an Alderman of the town as was his Grandfather Charles Rice Simms, whose portrait hangs in the town hall. He was expected to join the family business but was caught up in the new flying craze being a keen modeller and reader of "Flight" magazine. 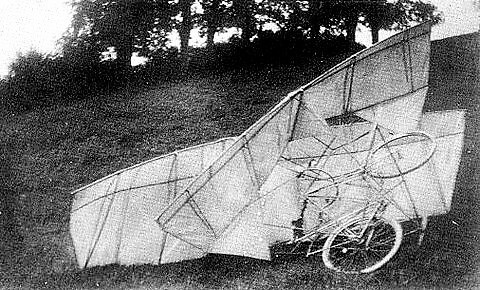 In 1908-1909 Herbert Simms constructed a high wing monoplane described as a 'Bedstead type', presumably for being mounted on four wheels. The rear wheels were arranged to drive a tractor propeller, the intention being to roll down a slope and to gain assistance from the rotating propeller. The machine was made of bamboo and the heavily cambered wing and tail were covered with linen. 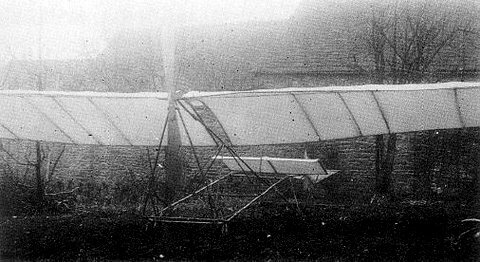 In 1910 Simms made a biplane cycleplane, with staggered wings and triangular front elevator flaps and a high mounted tail. Outriggers, fitted with wheels, were fitted to stabilize the machine, but it was wrecked on the first trial, on the Over Norton Road, when apparently it was just beginning to lift. 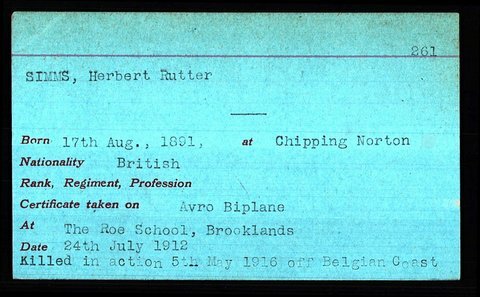 Herbert Simms left home in 1909 to become an apprentice with A. V. Roe at Manchester, helping build some of the early Avro aircraft. In June 1912 he began a flying course at Roe's Flying school at Brooklands, taking lessons in lieu of wages. He was awarded his certificate aged 21 after only 3 hours 10 minutes initial flying time. 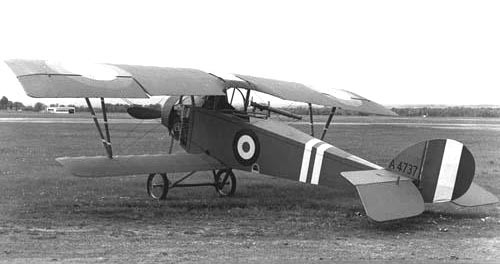 Soon after he was sent to assist at military trials on Salisbury Plain of the worlds first cabin biplane, the Avro G type. 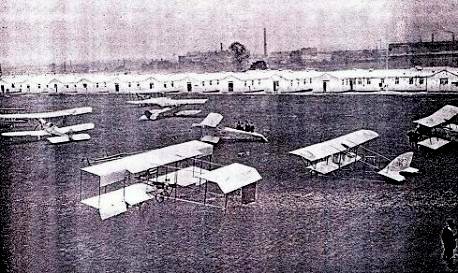 In the autumn of that year the Avro flying school moved to Shoreham. 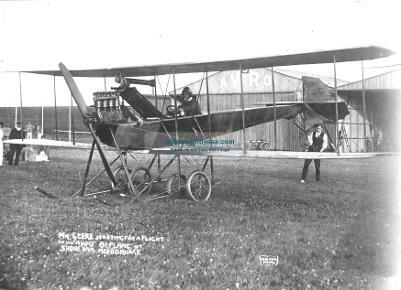 Simms was appointed Chief Flying Instructor and he also test flew new models as they arrived from Avro. 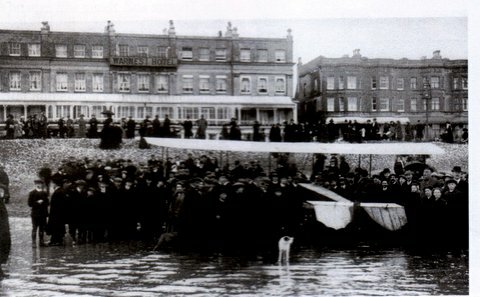 On one occasion he flew one to Worthing landing on the beach opposite Warne's Hotel where he lunched with friends. He left Shoreham after an accident with a plane that he claimed was unairworthy due to age and joined Sopwith at Kingston-upon-Thames. He became engaged to Violet, the sister of one of his pupils at Shoreham. In January "This was a long fight and no one killed. Delightful!" 5th March 1916 "Zepp hunting-terribly cold. Gun and compass froze up. All instument dials frozen over"
13th March "Four Boches dropped bombs on aerodrome- I started away while bombs were dropping in intense fear"
His CO's report read "Ability to command very good indeed, a fine fighting pilot, excellent with men"
Herbert Simms had at least two kills. 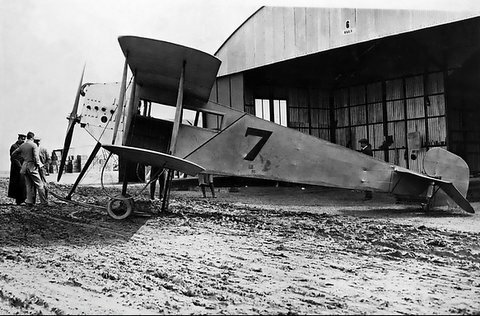 In Nieuport Type 11 Serial no. 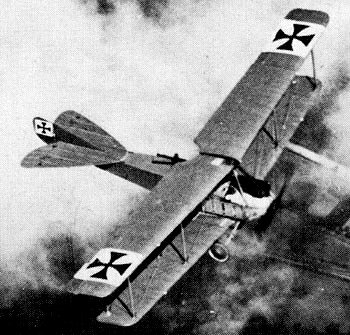 3981 he shot down a LVG C11 (pictured below) at Dixmude on 29th February 1916, witnessed by Belgian troops in the trenches.
" ...dived into water, pilot slumped forward, passenger jumped out from 3,000 feet rolling horizontally, its bombs blew up on hitting water." 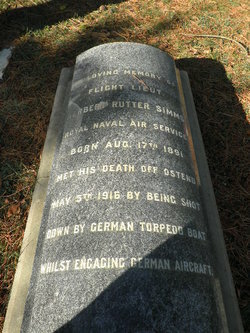 He also bombed a submarine off Ostend which he narrowly missed and flew fighting patrols to Ostend and Ypres. 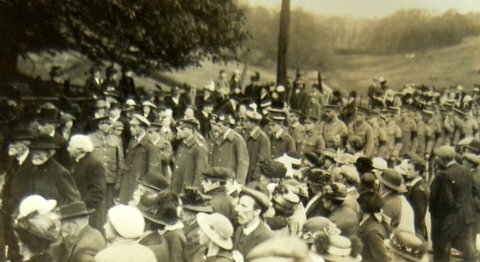 On 15th May 1916 whilst flying Nieuport Type 12 serial no. 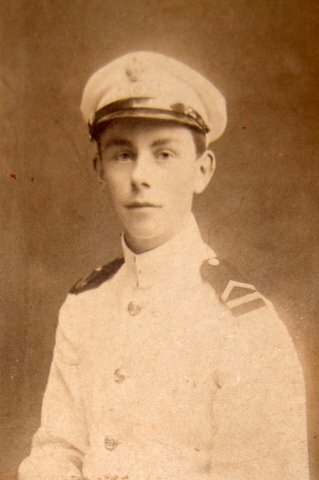 8904, with his Observer Sub-Lieutenant Cyril Mullens, his aircraft was shot down by a German torpedo boat whilst engaging a German seaplane off Ostend. The pilot of the seaplane went down to 150 feet to try and rescue the crew but was driven off by an approaching Royal Navy vessel. 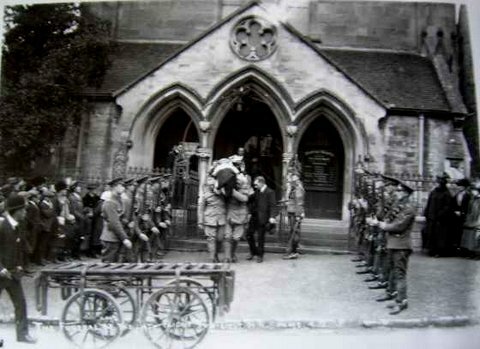 His body was recovered from the sea by a British ship and buried with full military honours in the cemetery at Chipping Norton. 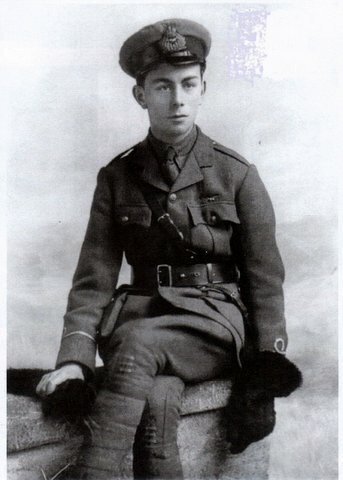 He was aged 24. Cyril Mullens body was not recovered. 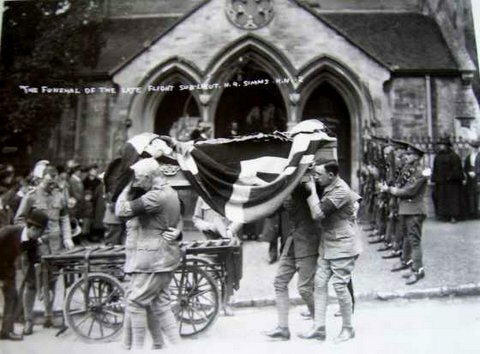 Scenes from Herbert Simms' funeral and his grave in Chipping Norton Cemetery.